Ahrefs.com’s results validate the general proposition that providing content that can generate Featured Snippets may improve the likelihood of achieving greater exposure on SERPS (Search Engine Results Pages). Ahrefs.com determined that if the link to your website happens to be #1 on the SERP, you can expect to get about 26 percent of the clicks from that SERP. But when a snippet appears above the #1 listing, it will steal a significant number of clicks from the #1 listing. 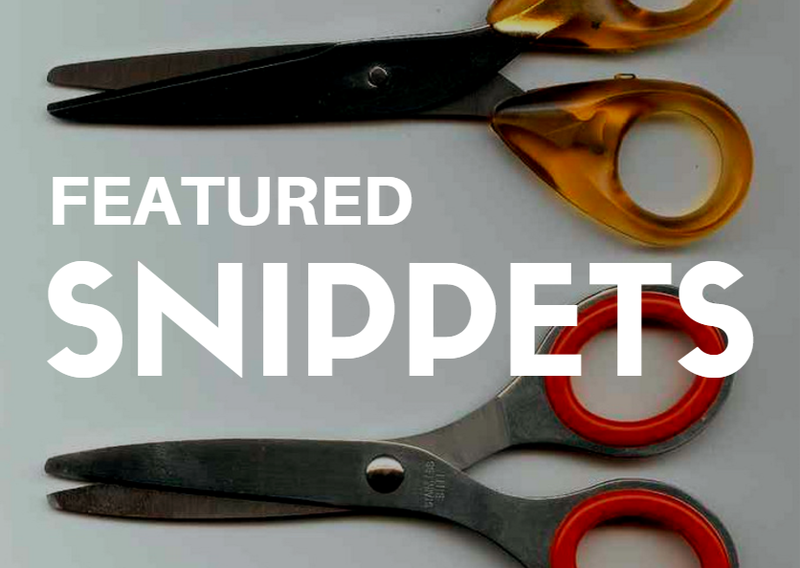 According to ahrefs.com, “when there’s a featured snippet at the #1 position, it only gets ~8.6% of clicks (on average), while the page that ranks right below it will get ~19.6% of clicks (on average). Marketers, take heed: even if you can’t expect to obtain a #1 listing for a power keyword phrase, you can steal clicks from your competition using one or more Featured Snippets. This is great news for those engaged in tight battles for organic SERP position. While Ahref.com’s researchers expected that the appearance of Featured Snippets would correlate strongly with keyword search volume, it found the opposite: that the majority of Featured Snippets were generated by low-volume, long-tail searches. The lesson for digital marketers here is clear: YouTube is a great place to get your content indexed, “snippetized,” and out in front of searchers. Pay as much attention to your YouTube descriptions and metadata as you do when you publish content to your website! Ahref.com’s findings – and earlier work done by Stone Temple Consulting’s Eric Enge — support the importance of Featured Snippets as a key mechanism for gaining entry into Google’s Knowledge Vault, and validate the proposition that great content, properly structured, is an effective tool – even for B2B – where search query may be low. The latest research on Featured Snippets sheds light on how digital marketers can make best use of them to achieve greater visibility on search engine results pages.